I’m a little bit obsessed with Artificial Intelligence lately. From Elon Musk calling it “More dangerous than nukes” to Scarlett Johansson embodying an operating system, AI has been the hot topic of our recent time. This terrific film is a cross between traditional Sci-Fi, dot-com satire, and a locked-room mystery/suspense film like Key Largo. 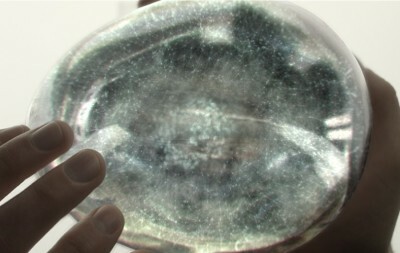 Beyond the obvious cool factors (Great FX, Oscar Isaac, written and directed by Alex Garland), the film has generated lots of discussion online about both its technology and its political undertones. The most interesting aspect to me however, is Ava’s brain. Her creator, Nathan, founded Blue Book, the world’s largest search engine (in the film). What better way to equip an AI for interaction with the world than by giving it the vast accumulation of knowledge we type (and speak) into the internet every day. Nathan explains that the data he possesses isn’t just what people are thinking about, but how people think. How interesting. This nicely dovetails with much of the research Search Engines are working on right now. Research that will change how we interact with technology and more importantly, how technology interacts with us. Who’s this guy to you? Ray Kurzweil is just the father of the Singularity Theory, that’s all. This theory predicts that computational power will exceed that of the human brain in the very near future, and radically re-arrange life on earth around it. Kurzweil is one of the key popularizes of this idea, and has been for decades. Kurzweil’s predictions are a clear inspiration for the tech CEO character Nathan in Ex Machina. He’s also now the new Director of Engineering at Google. He’s working on a project to bring natural language learning to Google Search. No, this is not a moonshot Google X project, this is something they plan to have functional in the next 12 months. In order for all of this to happen, processing power must make a radical leap. Moore’s Law posits that processing power will double roughly every 18 months. This sounds lovely, but the real benefit is the compounding. Much like compound interest, you are doubling the new amount, allowing for exponential growth in a short time. The gif below from Mother Jones provides an excellent estimation of the speed that large-scale changes can happen. Steven Levy’s excellent piece “Google Search Will Be Your Next Brain” thoroughly details the recent breakthroughs in the last 10 years in neural net technology, allowing machines to learn via interlacing, instead of rule-based list checking, while also making note of Google’s talent acquisitions which read like a laundry list of AI innovators. 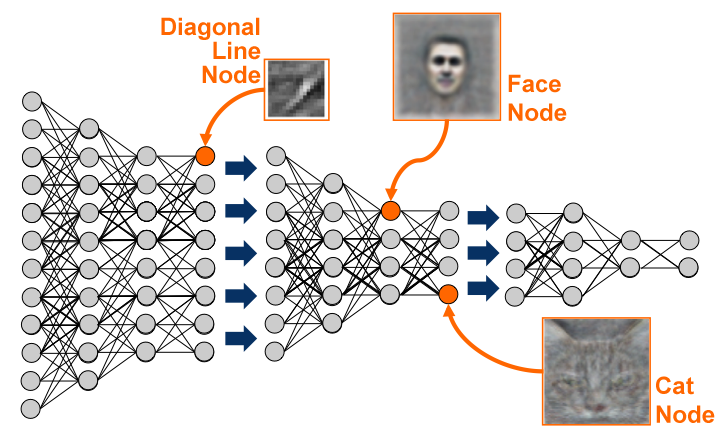 This system has since grown to be able to identify photos without the aid of humans. It learns from inputs, like toddlers do. Take a look at the captions the system applied to these photos. Say goodbye to the need to add image alt text code. Google acquired AI startup DeepMind in 2014. DeepMind became famous for its Atari-mastering algorithm that doesn’t hack or manipulate games. It learns to play them like we do, at first fumbling around until it can figure out how to score, then playing admirably. Of course, it also goes another step further by completely dominating the game far above human play levels. See that’s the thing about AI technologies: We program them with a human-relatable goal (Like “Score points”), and have no idea how ruthless they can become to serve that goal. Watch how quickly this program goes from n00b to God of Breakout. They aren’t done yet. In addition to playing 80’s videogames, the algorithms are getting quite good at writing basic factual articles as well. The New York Times put together a fun little quiz: Did a human or a computer write this? Can you tell the difference? 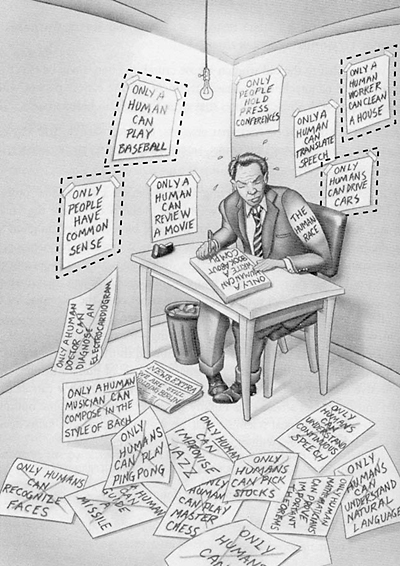 I think this fun cartoon from The Singularity is Near sums it up. We are checking off the lists of activities that only real humans can do at a rapid rate. So much of what we do as Search Marketers is infuse meaning into lifeless “pages” on a screen. A day will come when search engines are smart enough to perceive that meaning, and the page’s relationship to other topics on its own. How will we compete? I do believe that there will always be things that can’t be so easily automated, like strategy. Title and meta tags however….that’s a different story. It’s not all doom and gloom of course, I believe that search marketers will be free to focus on brand, promotions, and integrations over some of the more monotonous labor-based aspects of search in the future. 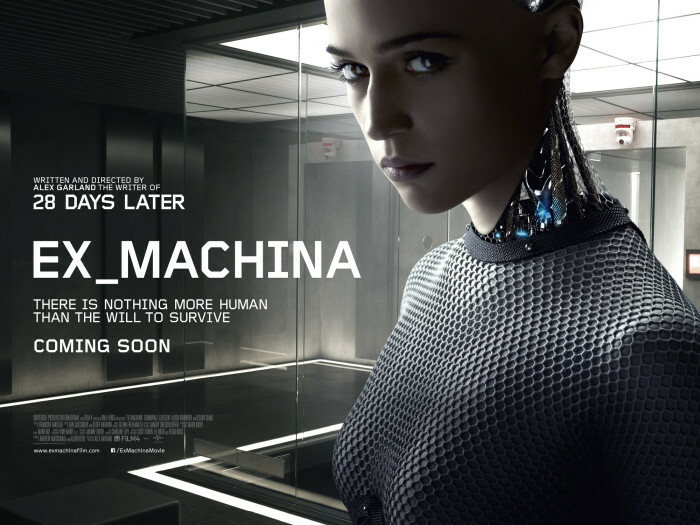 Ava from Ex Machina is a long way off. 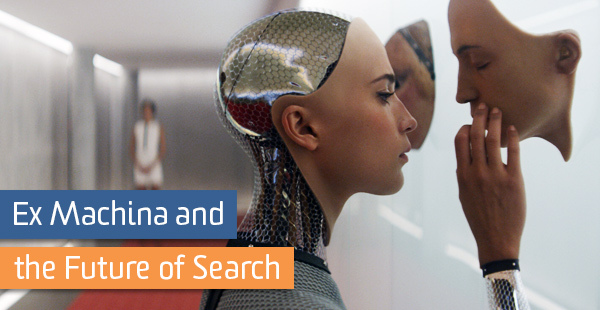 Radical changes to the search industry will be a part of our very near future. What would you like AI to solve about search? Let me know below!